Terracotta pots can seem a bit monotonous, if you are a DIY enthusiast and love being in the garden why not try revamping your old terracotta flower pots. This is a great way to get creative and create a unique feel to your garden. Wipe down your Terracotta pots removing any debris or mildew. For cracked pots seal the crack with a cement adhesive and wait to dry before painting. Make sure the area you will be using to paint is covered. Before you start to paint, decide if you want to have a theme for your pots of if you want each pot painted a unique way with different colours and patterns. When you are ready to paint, take your Terracotta pots and apply one acrylic paint colour as the base colour of the pot using a medium foam brush, this will allow for the paint to be evenly applied to the pot. Once the base colour has completely dried, take your fine bristle brush with a different coloured paint and create patterns on each pot. You can also use a stencil for this. Be creative and mix up colours. When you are happy with your designs you can now go ahead and replant beautiful flowers in your new revamped plant pots. 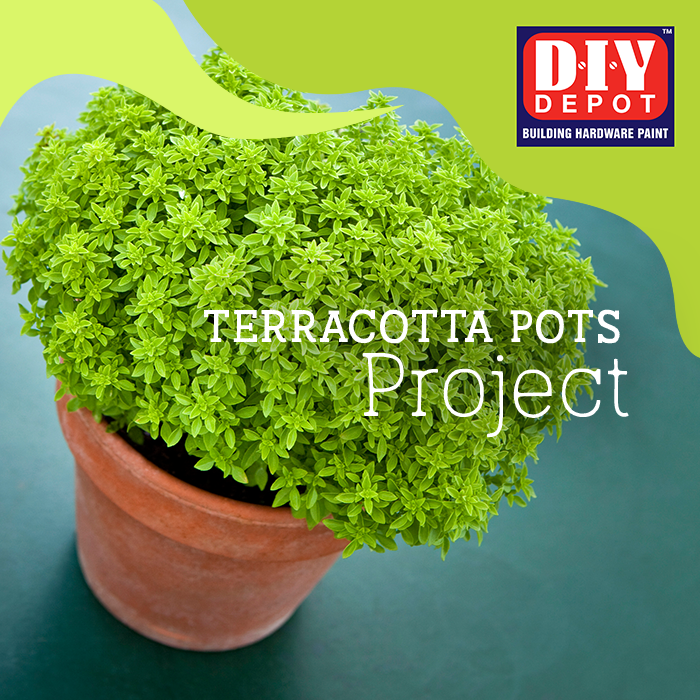 Remember to visit your nearest DIY Depot for a wide range of colours and paint textures to create the look and feel of your new Terracotta pots.